The Dew Room, or the Shrine Room, leads us into a dreamy atmosphere, between the white of the veils of the canopy bed and the luminous silver wall. We wanted to recall the magic of dew or of frost that veils every leaf, every roof in the morning. A walk between the rows reveals the cobwebs covered in dewdrops that create beautiful embroideries or a trip along the dirt or paved roads to discover roadside shrines and small churches shrouded in a magical atmosphere. 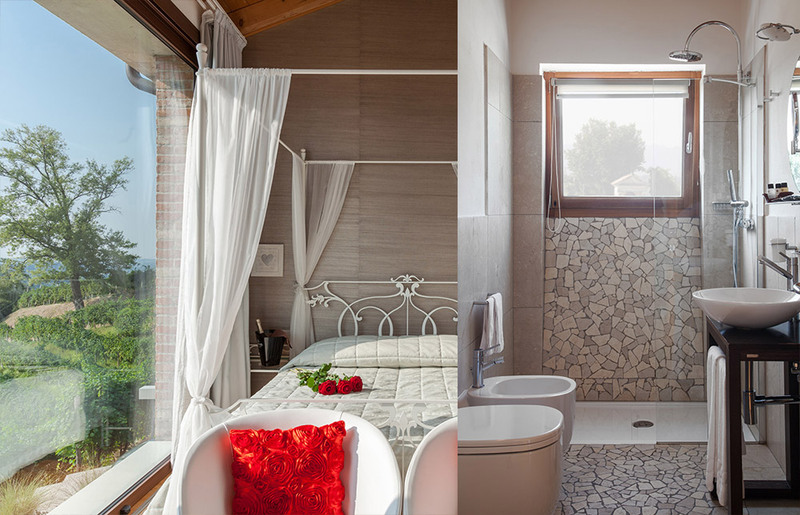 This room is a dream on a winter morning, the bathroom is an invitation to walk along the antique roads of the countryside. 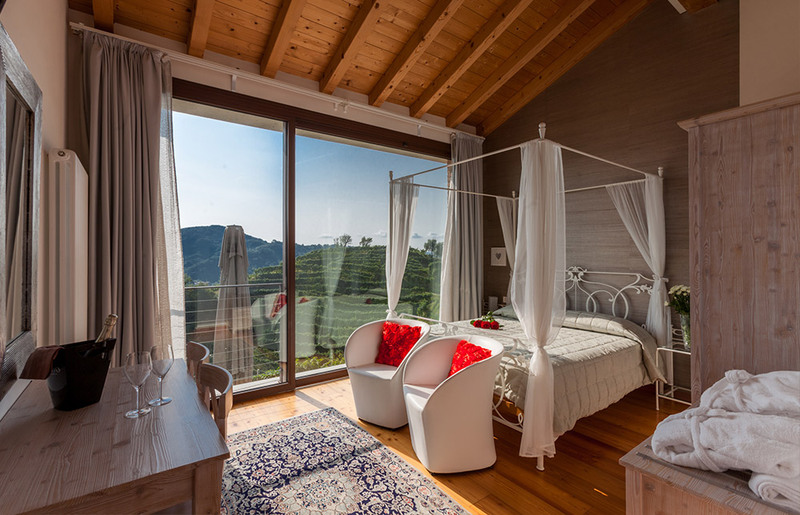 Facilities: Private bathroom with shower, hairdryer, satellite TV, minibar, air conditioning / heating, wi-fi, kettle with tea and coffee, beautiful views of the hills and vineyards.